WARNING! THESE ARE THE MOST EXPENSIVE DUMP KITS IN THE UNIVERSE! Don't be a fool for cheap prices!! The First Patented “Over the Bumper Dumper”. 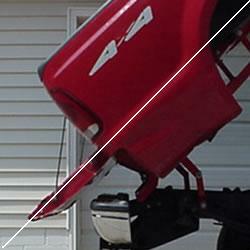 Your bumper and hitch stay in place before, during, and after installation. 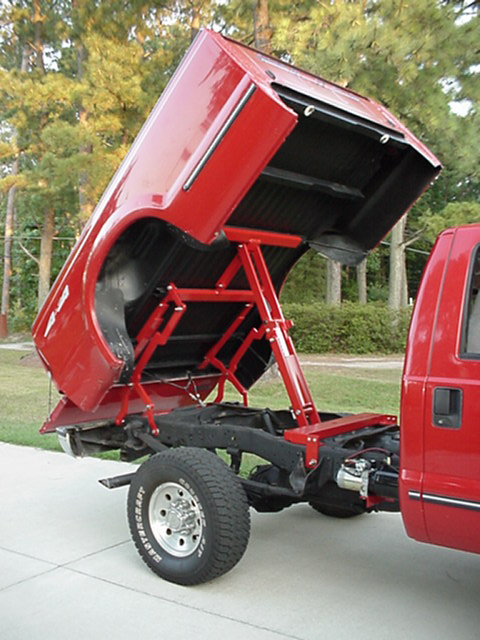 Chevy/GMC '99-'10 1500 & 2500HD short bed kits. The only manufacturer in the universe for hydraulic kits to fit these trucks! Factory bumper, tow hitch, tailgate, spare tire and bed. NO emissions modifications, NO welding, with 3 year limited warranty. Product Lines: NO Dodge, Toyota, F-150 or midsize truck dump kits....YET. Top secret development in progress. FORD '99-'11 F250 & F350 Long Bed Super Duty. Our latest BOLT-ON design for FORD long bed F250 & F350 Comes partially assembled for easy installation. 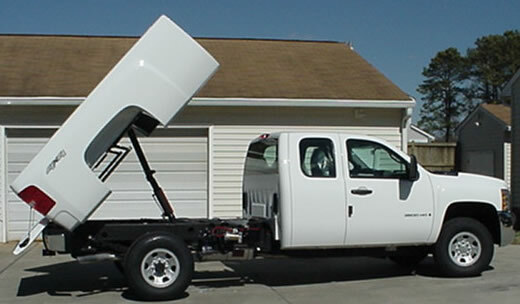 $3250 Anyone with EPA mandated urea tank must deliver vehicle to Virginia for custom mods at extreme cost. 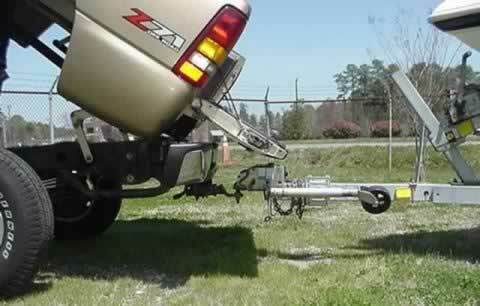 True 45 degree dump angle over the bumper & hitch, NO WELDING! Shipping to a residential address is $200 extra. Shipping weight ranges between 285 and 556 pounds. All kits are custom handmade one at a time. 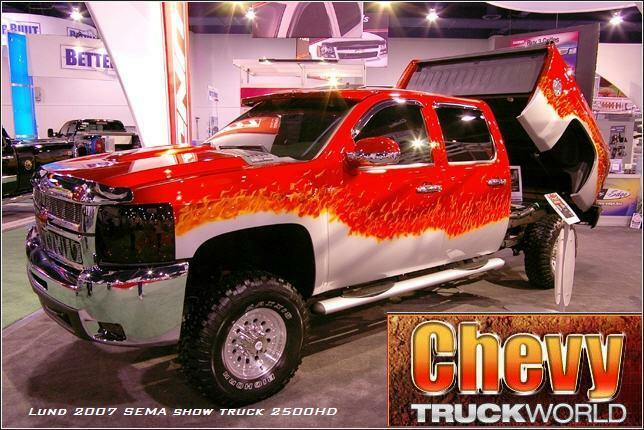 Proud to be a supplier for General Motors 2007 E85 Silverado Handyman SEMA Show truck. 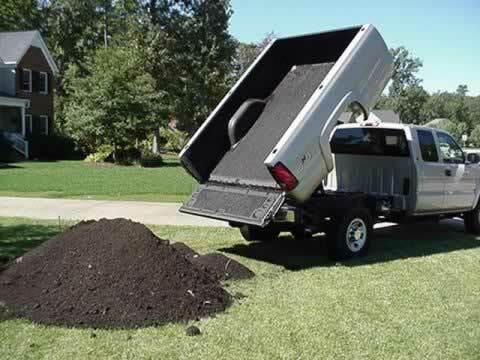 We call it the Stealth Dump because it doesn't alter the body lines or factory appearance of your truck. 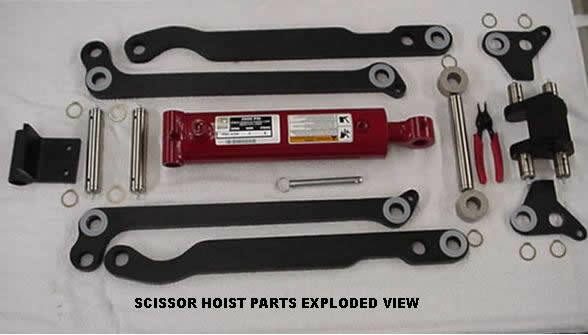 The kit includes the cylinder, hoist scissor, pivot mounts for factory bed & frame, rear hinge, wiring of the remote control/pump, bolts, special tools, and hydraulic hoses. 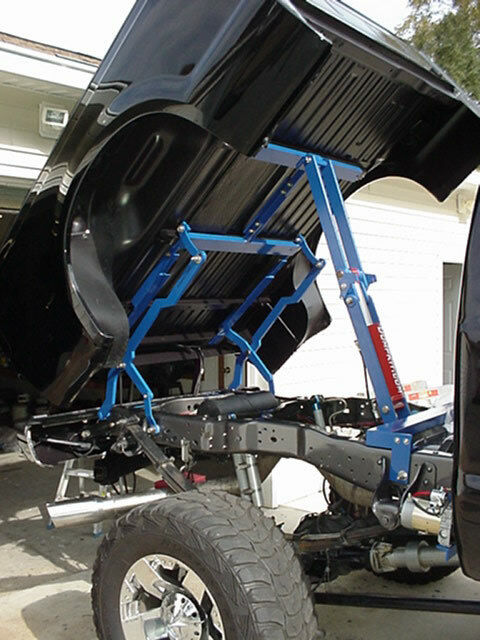 The bolt-on installation typically requires 5 to 10 hours to complete in your garage or driveway. Don't have the time or skills to install this? 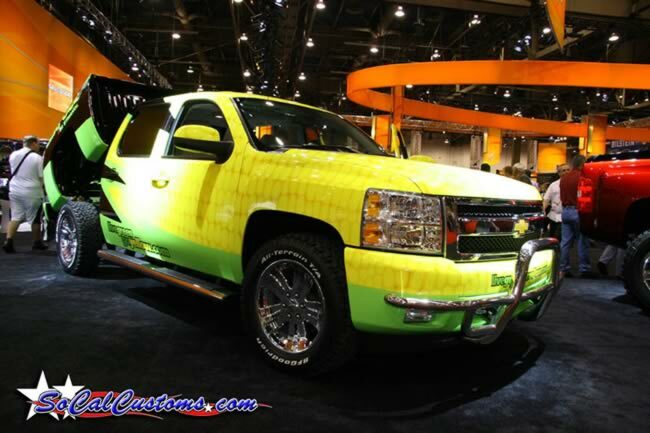 Go to your local truck dealership or body shop, they can handle all tasks. Our kits don't require welding of any components. Welding on vehicles equipped with computerized engine management systems can cause damage not covered by your warranty. The entire dumping system weighs between 200 & 400 pounds, depending on options. Compare to insert dumps weighing an average of 900 lbs. We ship to Canada ! You can't do this using any other underbody dump system in the world. Need a custom powder coat color? No problem, stock color is black. New design below, '01-up GM 2500 & 3500 long bed with 49 degree dump angle! This 2004 truck has been dumping for 10 YEARS! The only source in the universe for bolt on GM 2004-10 gas fuel hydraulic dump kits. Aerospace quality design, materials, and manufacture. Pivot pins a full 1" in diameter stainless steel! Copyright 2003-15 stealthdumptrucks.com All Rights Reserved.